We are offering good quality of MP4. Love to travel Now travel without worrying about your phone battery. This MP4 player has FM, 65K LCD screen, rechargeable battery, mini USB, USB 2.0 full speed, 1.5" LCD screen and supports DVR, MP3, WMA, ID3 formats. We can watch videos in it. 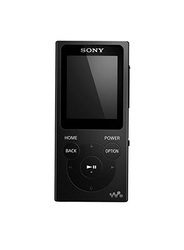 This MP4 player is black in color with 512 MB memory.